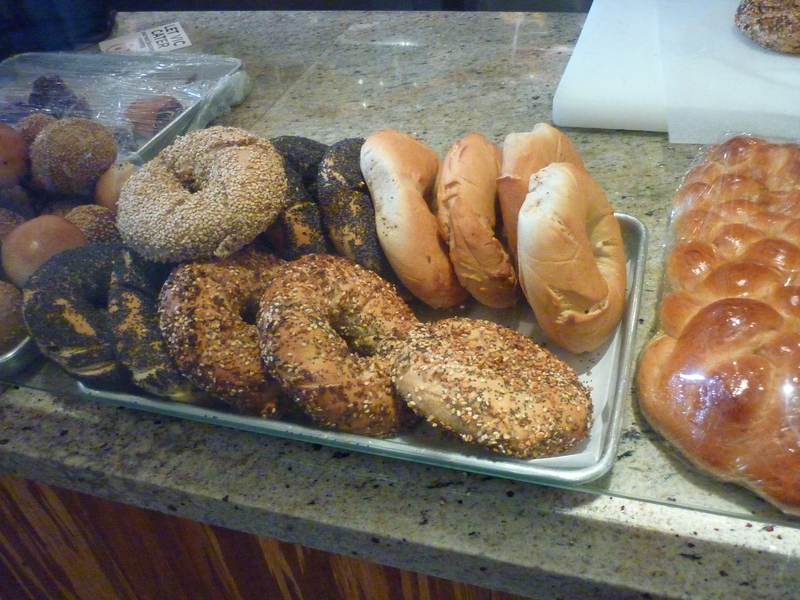 bagels | Gluten Free? Gimme Three! 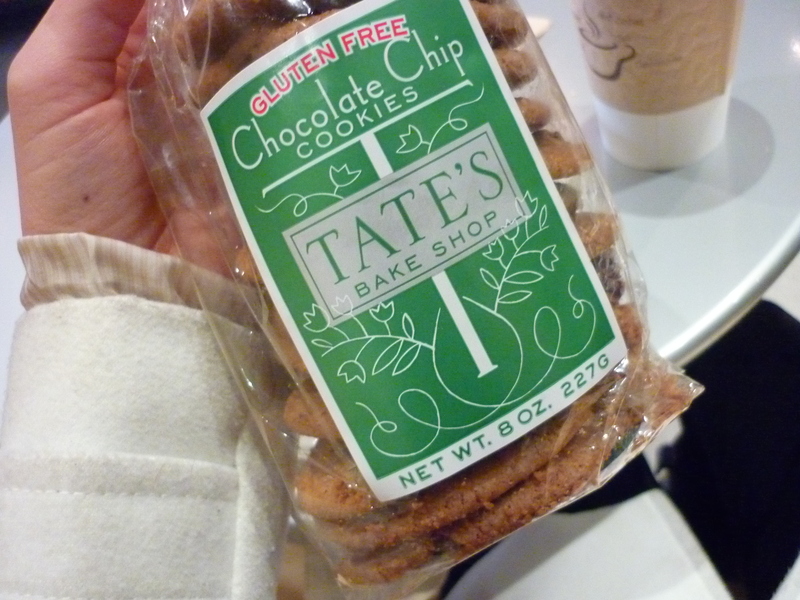 A few gluten free finds and things that made me happy lately. 1. 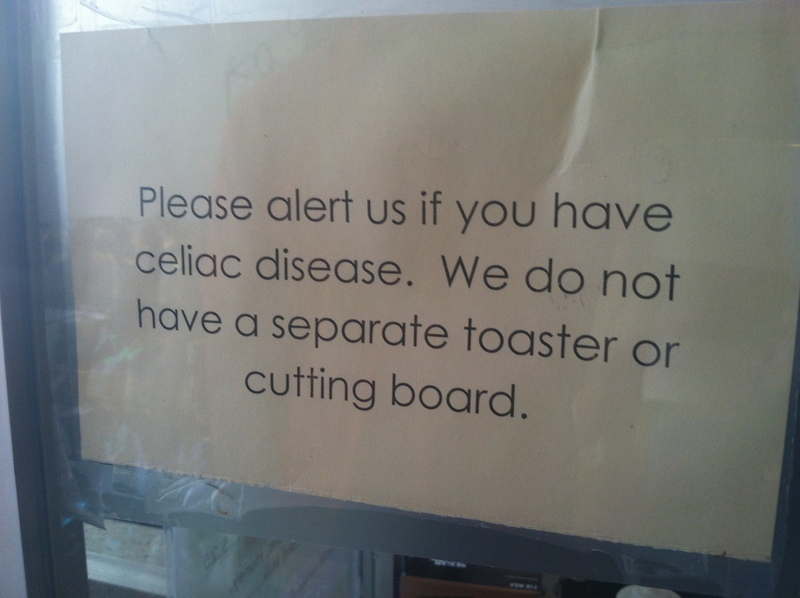 This sign at Vic’s Bagel Bar in NYC. 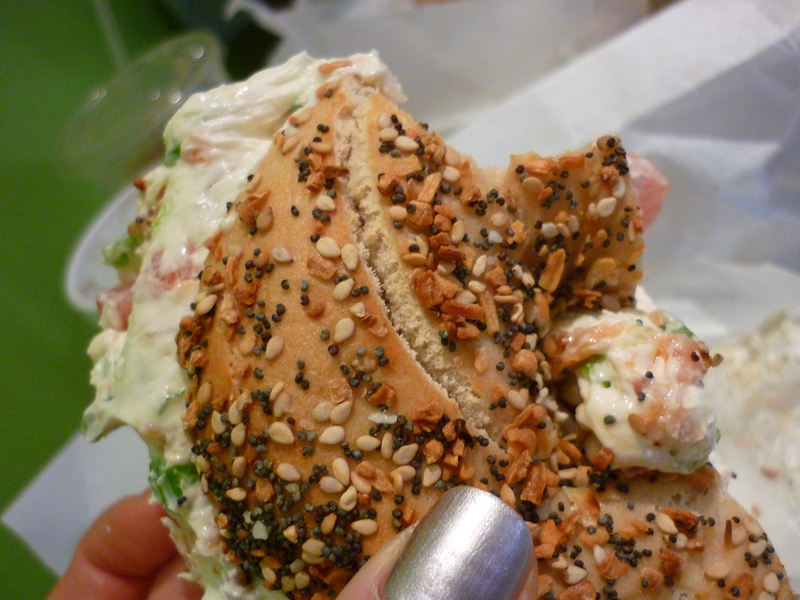 Their gluten free bagels are seriously drool-worthy, and they are serious about preventing cross contamination for those of us with Celiac disease. Props to them! 2. 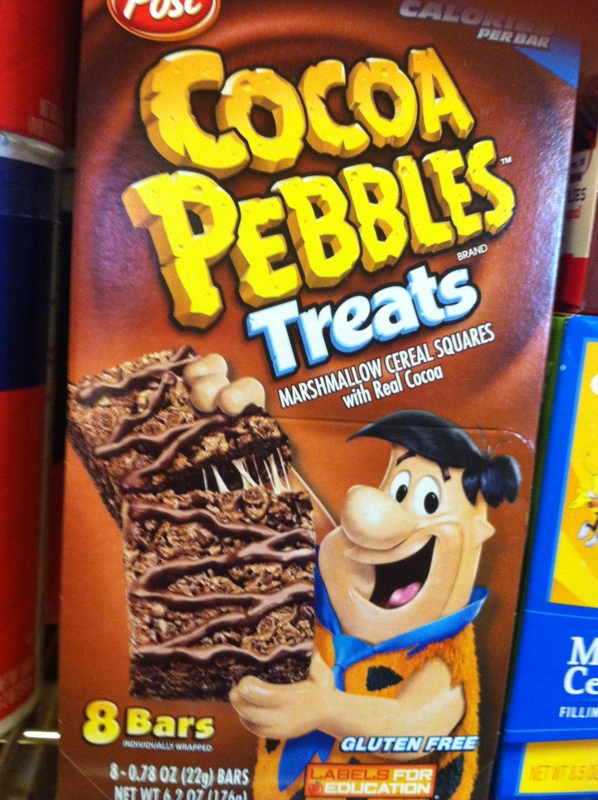 These cocoa pebbles treats are gluten free! They’re awful for you, but who doesn’t love a little Fred Flinstone-endorsed sugar high? 3. I was quoted in a CNBC article on the food allergy business based off of my blog post about the cost of eating gluten free where I estimated that I spend over a grand more on food than the average single woman my age. So exciting! I have so many posts to make from my trips that I don’t even know where to begin. But, I suppose the most impressive place that I went should go first. What a pretentious fitting name. 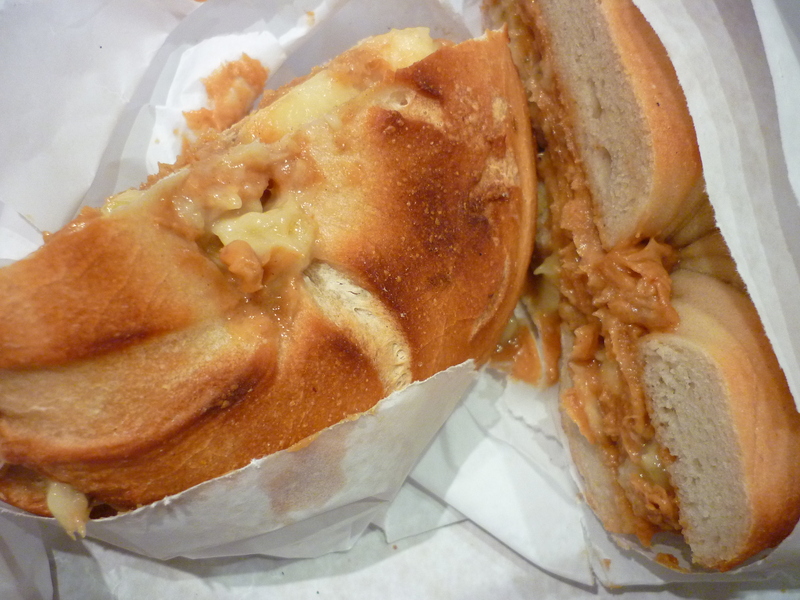 We had just missed sandwich time, which they serve until 3pm, so that was disappointing. 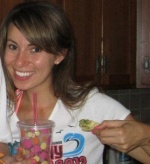 But they had so many other choices that I had to try a few things, one for now and one for later. 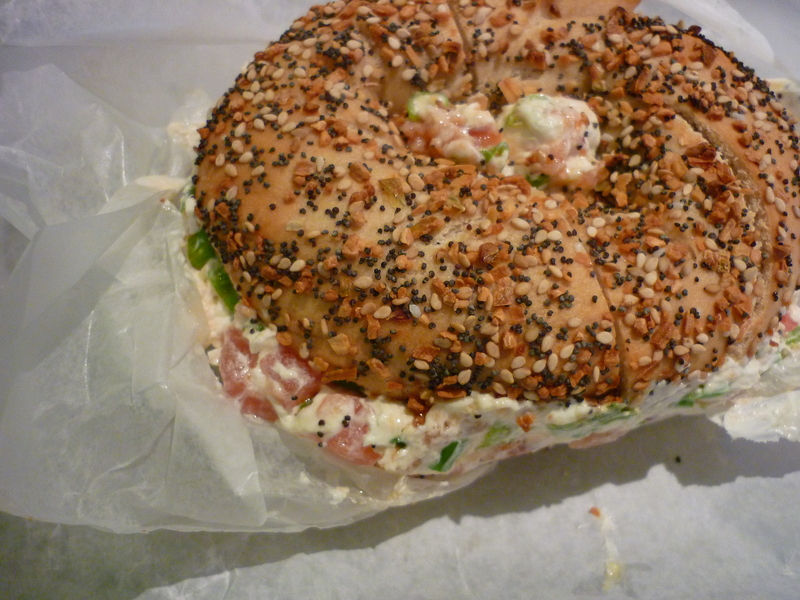 For now = asiago bagel with cream cheese. 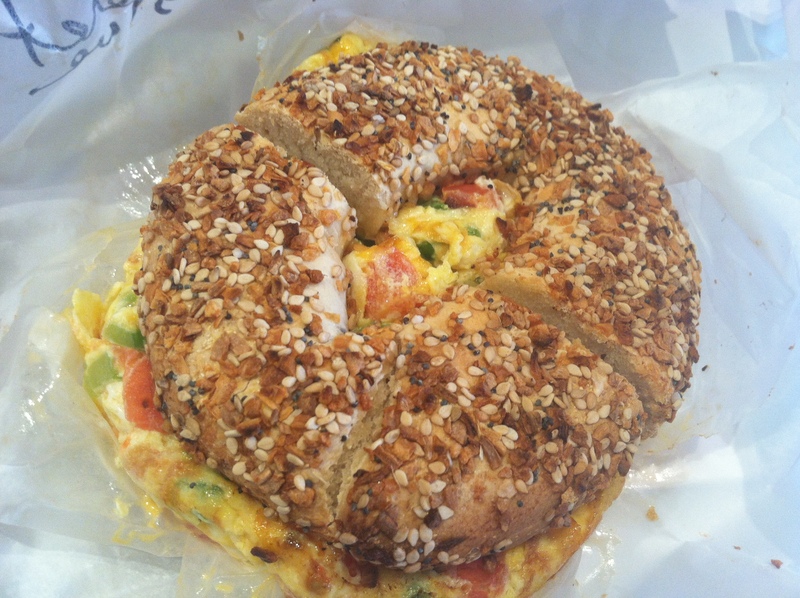 When was the last time that you could order one bagel from a store, and have them make it for you the way you like? For me, probably about six years. 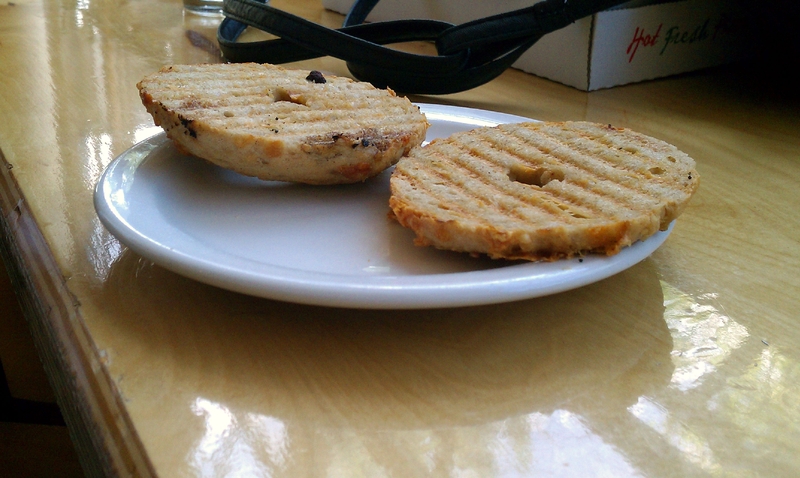 It was definitely a great bagel, but I think I may have lost my bagel lust somewhere along the way. 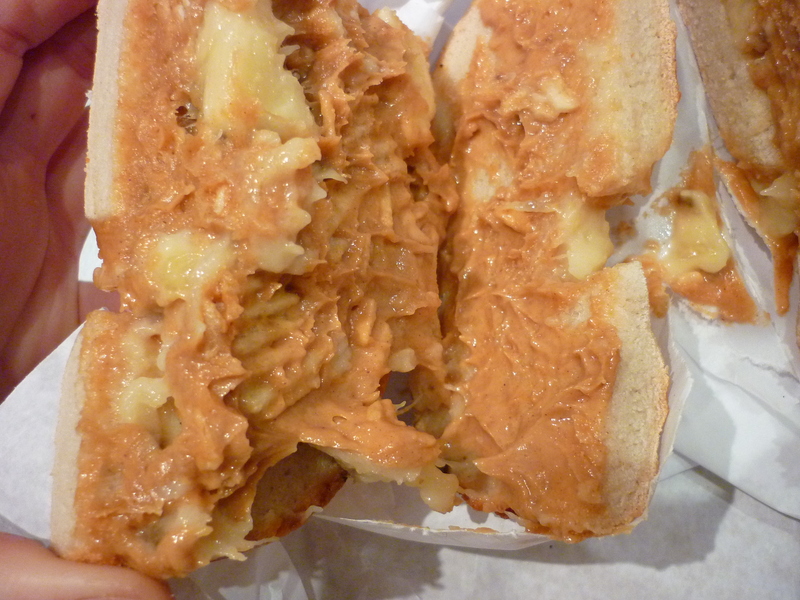 It just doesn’t do the same thing it did for me in high school when I got a bagel with butter on it nearly every day after school (oh the shame). 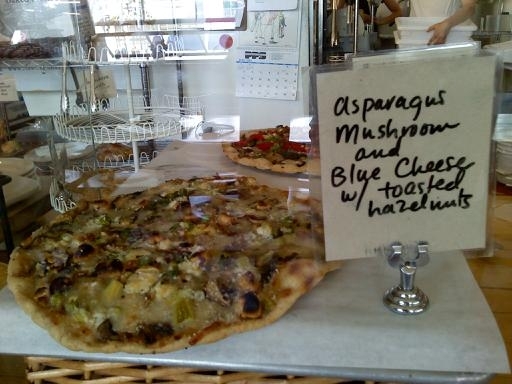 For later =this amazing pizza with asparagus, mushrooms, blue cheese, and hazelnuts. 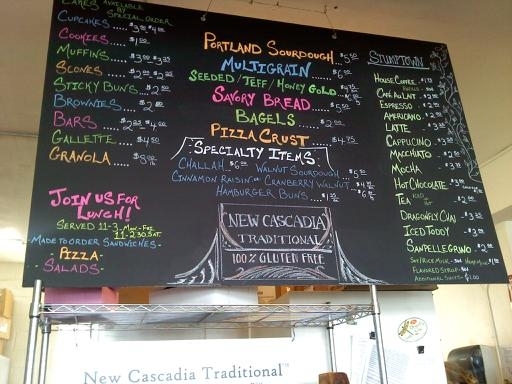 Yeah – who knew about the deliciousness of hazelnuts on a pizza? I ate this for dinner, and then as a snack, and then as another dinner. I could have eaten the whole thing in one sitting though, but it was really rich, so I managed to hold off. 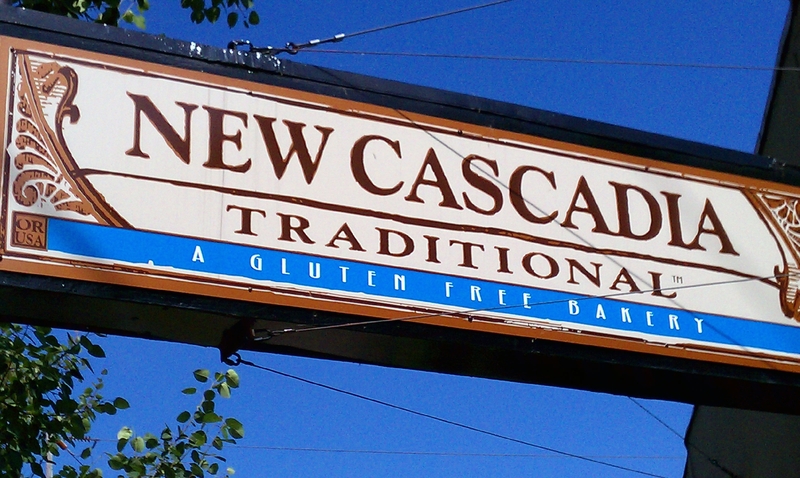 The only thing lacking at New Cascadia was the customer service. 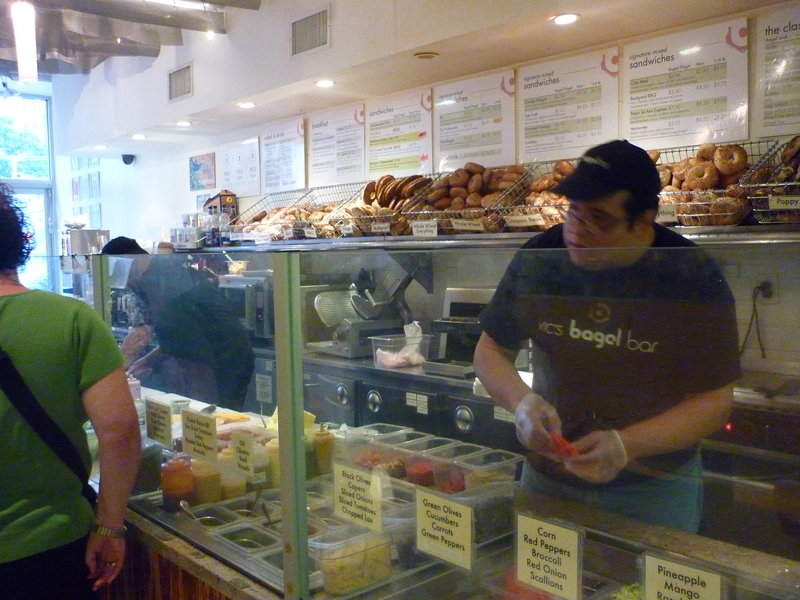 The girl behind the counter looked like she wanted to kill me every time I asked a question, and heaven forbid I ask for my bagel toasted. But luckily their food made up for it. 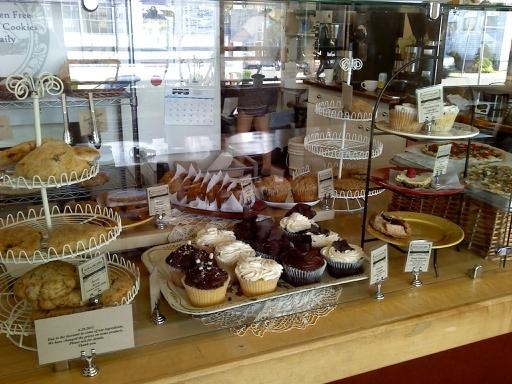 I could have spent $100 on food here easily – blueberry pie, fresh bread, scones, cookies – you name it, they had it.